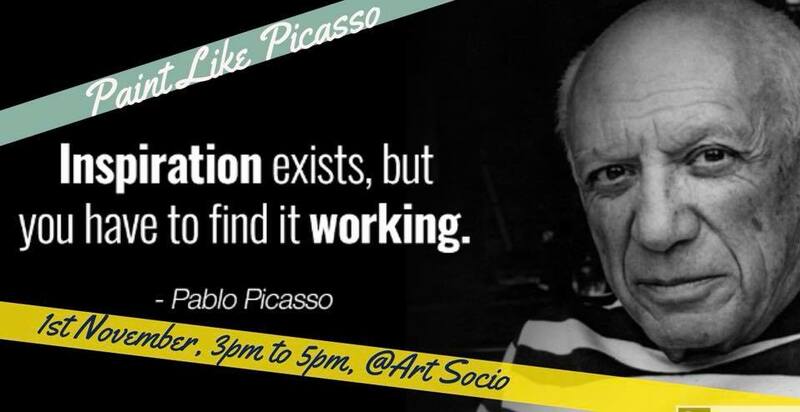 Art Socio Invites you to make a portrait of Picasso. Follow our lead to create your own masterpiece using some of the same techniques as the legend did, and take your painting home with you after 2 hours of focused fun! Our Paint Sip Dip session is featuring a new technique using canvases with this image already drawn on, all you need to do is paint! We will provide 16″X20″ canvases, paints, brushes, free brevrages and aprons.